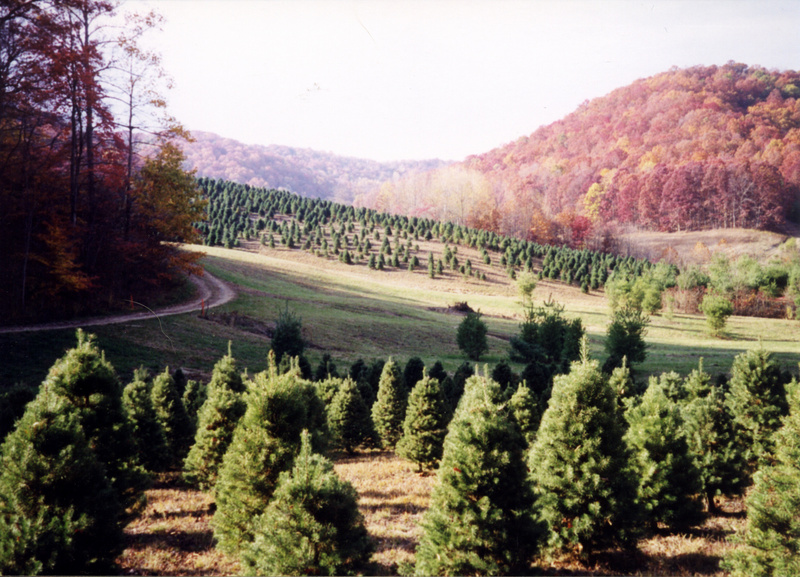 A photo of our Christmas tree fields in times past during autumn. Purchased in four separate tracts of land between 1981 and 2001, Hutton-Loyd Tree Farm consists of 1125 acres in total. These lands play host to 860 acres of woodlands, including 60 acres of non-commercial wildlife reserve sections, 38 acres of lake, 3 acres of ponds, 180 acres of nursery and Christmas tree production fields, and 44 acres of grounds for buildings, roads and other improvements. Within these fields and woodlands, reside 30 miles of interlaced trails for biking, horseback riding, or simply hiking. Currently the farm is undergoing a generational transition. Herb Loyd, who originally purchased the farm, is progressing to retirement and passing on the business to three of his children, Tara, Haley, and Parke. They hope to make the farm a place that brings their families, as well as families from the surrounding community, together.